March 2018, so much work remains. 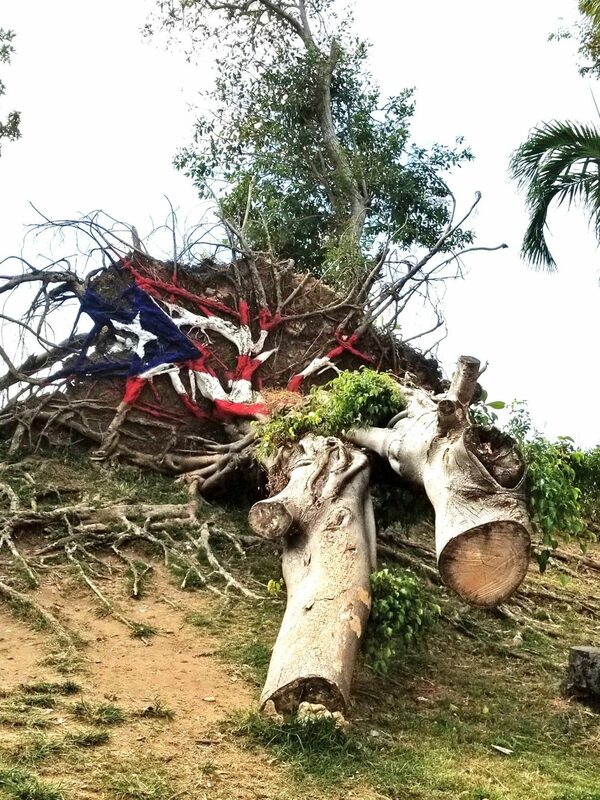 It has been 6 long, hot months since Hurricane Maria decimated the island of Puerto Rico, and other islands in the Caribbean. While some progress has been made, a tremendous amount of work remains. Most damaged roofs at least are covered with tarps to prevent the rain from getting in. Power has been restored to the major cities and is working its way out to the more remote areas. However, some of the mountainous towns are being told it will take years, if ever, to get their power back. Who needs roofs when you have ingenuity? 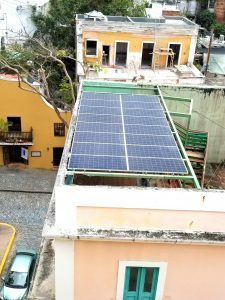 As a result of the total destruction of the electric grid, many homes in Puerto Rico have moved to take advantage of one of their most abundant resources, the sun. Without a reliable electric grid, battery based solar systems are being installed. With solar batteries in the system, the solar panels and solar charge controllers can charge them up during the day, and the battery based inverters will use that power day and night to provide electricity to your homes. 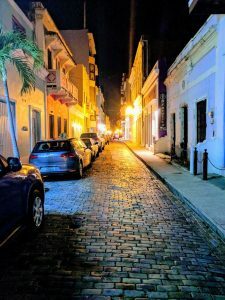 To speed up delivery and reduce shipping costs, altE Store recently started stocking solar products in Guaynabo, Puerto Rico, just outside of San Juan. As we speak, we are increasing stocked inventory items and quantities available for pickup or local delivery on the island. While speaking with Puerto Rican solar installers, the request for local training came through loud and clear. 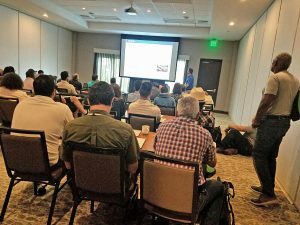 As a result, altE organized a two day event in San Juan, Puerto Rico. Our newest addition to the altE family, Blanca, comes to us from Venezuela. With her combination of technical knowledge, enthusiasm, and Spanish, she was a big help whenever any language barriers arose. The first day was an all day introduction to solar systems class, taught by our own Solar Queen, Amy. 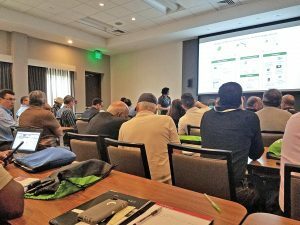 Over 60 people attended the class, from learning the basics of solar technology, all the way up to designing battery based solar systems. 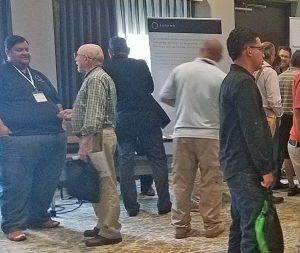 Day 2 was packed with information from leading solar manufacturers. A showcase room allowed them to have personal interaction with over 80 attendees. 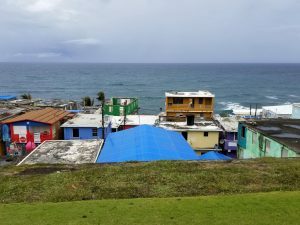 Sonnen was showing one of their all-in-one fully integrated AC Coupled solutions that they have been installing with Pura Energia in community and health care centers in the rural sections of Puerto Rico where they are still 100% without power. The Sonnen solution allows customers who have grid-tie systems to easily add battery backup storage. Two concurrent tracks were set up to have product and solution-specific training by the manufactures. 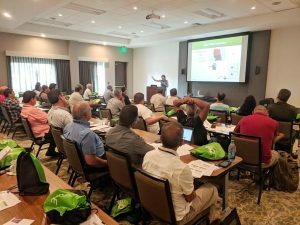 These classes included Schneider Electric discussing AC Coupling and the altE pre-wired inverters, and IronRidge explaining installing tilt-up racking on flat roofs like those found in Puerto Rico. Additionally, we had Midnite Solar explaining NEC compliant Rapid Shutdown products and solar charge controllers, Xantrex showing some of their mobile off-grid inverter products, SolarWorld describing the strength and durability of their solar panels, and Crown Battery demonstrating the advantages of good ol’ lead acid batteries and the correct way to size a battery bank. Standing room only at Xantrex’s talk about off-grid inverters to add batteries to a grid tied solar system. 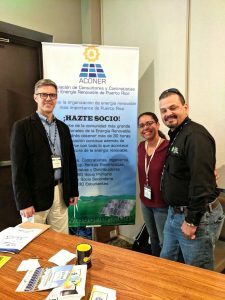 Local branches of SEIA, Solar Energy Industry Association, and ACONER, La Asociación de Contratistas y Consultores de Energía Renovable de Puerto Rico, had booths set up to discuss local regulations and organizations. It is critical that the solar systems are installed properly, and meet local and national codes. These groups are working with installers to make sure solar is done right. When we returned home, friends and family ask the same question over and over, “how are they doing?” It’s unimaginable to be dealing with such mass destruction. 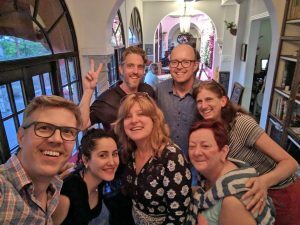 We stayed in the city of San Juan, and to our eyes, their recovery has been moving along. Most hotels, shops, and restaurants are open to tourists, their lifeblood for money. The harbor had several huge cruise ships in port, the hotels were booked full. But we could see many signs of damage that remained, from downed lights and signs to blown out windows in high rises. An informal poll at the start of the class found two people out of the 60 still had no power, six months after the storm. Those who do have power still experience frequent power outages as work moves forward. The more remote a town is on the island, the less likely they have power. Several non-profit organizations are working on installing community solar systems. These battery based solar power systems provide a central place for the residents to go for medical attention, refrigeration, battery charging, even clothes washing. Many people are still running the fuel hungry generators, buying more gas or diesel has become a part of their daily routine. Everyone is talking about solar. 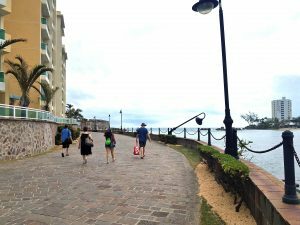 Many of the altE staff were flying down to Puerto Rico from New England. 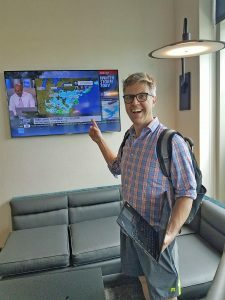 As luck would have it, on the day of their flight it was predicted to have another Nor’easter snow storm. This was their 4th in March alone. Even for hardy New Englanders, that’s just way too many snow storms. As a result, many had to change their flights to arrive a day early. For the record, I highly recommend working by the pool in March. (I love my job). 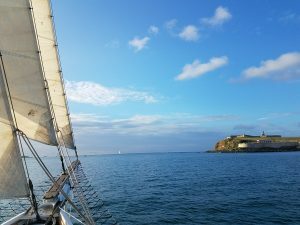 After the show was over, a few of us stayed an extra day or more to explore the beauty of the island, by land and by sea. 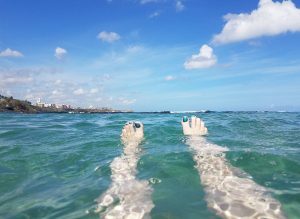 The strength, resilience, and friendliness of the Puerto Rican people will stay with us for a long time. Sascha sympathizing with employees back home. Ben working by the pool. Photo censored for your own good, trust me. 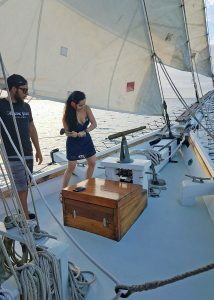 Blanca firing the cannon on Schooner Amazing Grace. 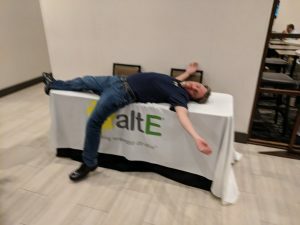 We put this conference together in just over a month, and were overwhelmed by its success. The attendees, and those who weren’t able to attend, asked us for more. 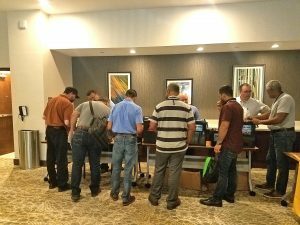 More solar training, more products, more manufacturers. 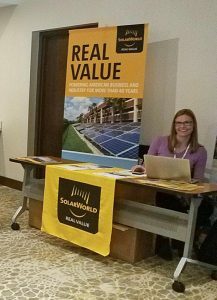 We are now planning our larger 2nd Puerto Rico Solar Conference for later this year, most likely in August. The exact location and date is yet to be determined. Watch here for more news as we finalize some of the details.